Nowhere is the idea of value for money in training more succinctly described than the saying, ‘if you think education is expensive try ignorance.’ It speaks volumes, but it also misses one very crucial point! The average cost of a driving lesson today is £24 and most would agree that it is money well spent – if you are learning to drive. In fact, after taking the average of 47 hours worth of lessons (as recommended by the Driving Standards Agency), you could say that your £1,128 (24 x 47) is a potentially lifesaving investment. Unless of course, you are already a competent, experienced, fully licensed driver: or you never have any intention of driving a car on the road – ever in your life. Then it would be a waste of money! There is also the scenario where the instructor is not qualified, or they are an extremely poor teacher! That too could turn your substantial investment into an expensive mistake. Paying to be educated in a subject which represents no value to you would be a pointless expense. Likewise, it is possible to be educated badly or with the wrong information. In both these scenarios, I would opt for ignorance over education – every time. Another famous mantra in the world of education and training is, ‘practice makes perfect.’ Once again, this apparent wisdom does not tell the whole story. If you are practising and perfecting the ‘wrong way’ to do something, you will only end up becoming really good at failure. Getting clear, validated and proven training in any subject is the only foundation for being able to practice it and improve your performance unto perfection. It is the only way to turn an expense into an investment. The training they are offered is generic, rather than being tailored to their specific needs. When every pound spent on training pays a dividend! Training only represents value to the right people. And it is only when the cost of being able to do something faster, more efficiently, more accurately, or to a higher standard is significantly lower than the value of increasing those attributes, that training becomes worth its weight in gold. When these two factors coincide, it would be utter foolishness not to invest in good quality training. If a £20k pa member of staff contributes £30k worth of profit to your business, it is worth employing them – wouldn’t you agree? 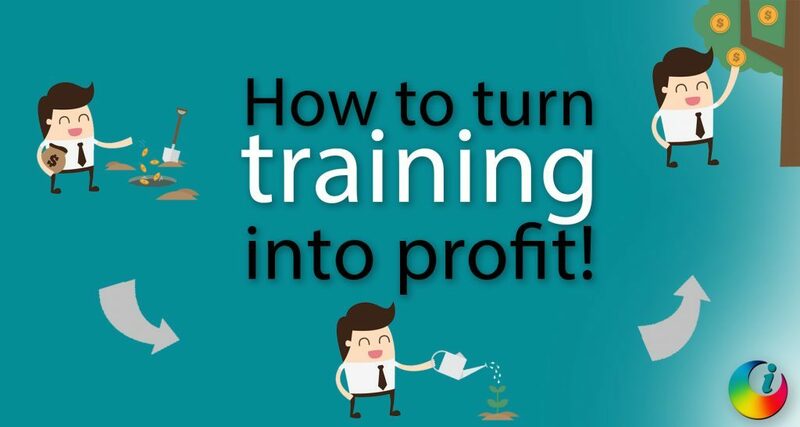 Therefore, if you spent £1000 training that person and it increased their productivity by just 10%, the investment would be worth £2000 profit (£3000 the following year). To turn training into an investment, all you need to do is identify where your people’s skills could be improved to increase their value to your business. Then find a training company that is capable of delivering those results.